In Okinawa islands, where singing flourished, music was rarely meant for instruments. 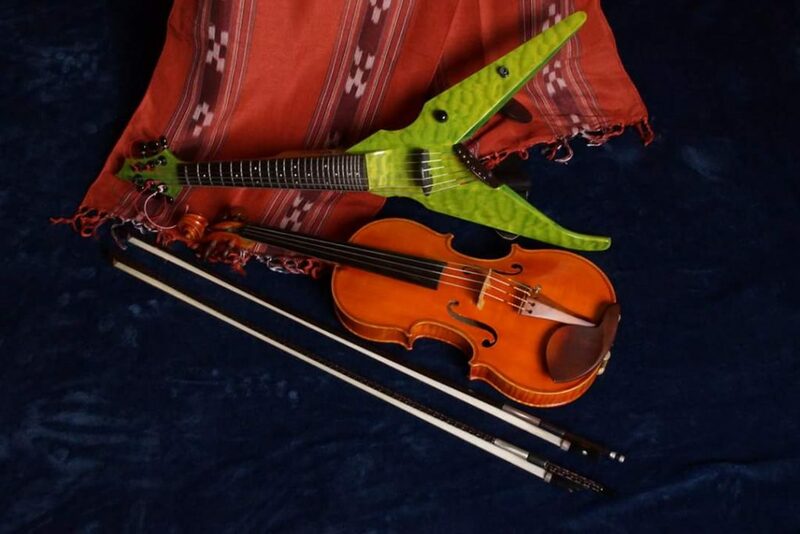 The violin, which developed in Italy, is now used all over the world as a folk instrument for Celtic, Indian, and many other kinds of ethnic music. When I was young and growing up in Okinawa, I met the violin. From my innocent heart I often sang softly to myself, and began looking for a way to express my song on this instrument. 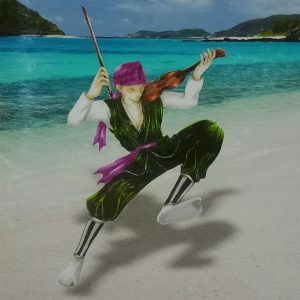 It was then that I started to explore Ryukyuish (Old-Okinawan) violin music. Today, I peform my music combining the wide range of sound available on the 6 string Viper and loop pedal, aiming at the continual development of Ryukyuish violin.